It’s nice to be told you’re beautiful or hot or whatever, but I’d love to hear some say that I make things easier, that they’re happy I exist, they don’t know what they’d do with out me, I’m strong, that they hope we never lose each other, that they’re proud of me, that I have something to offer. 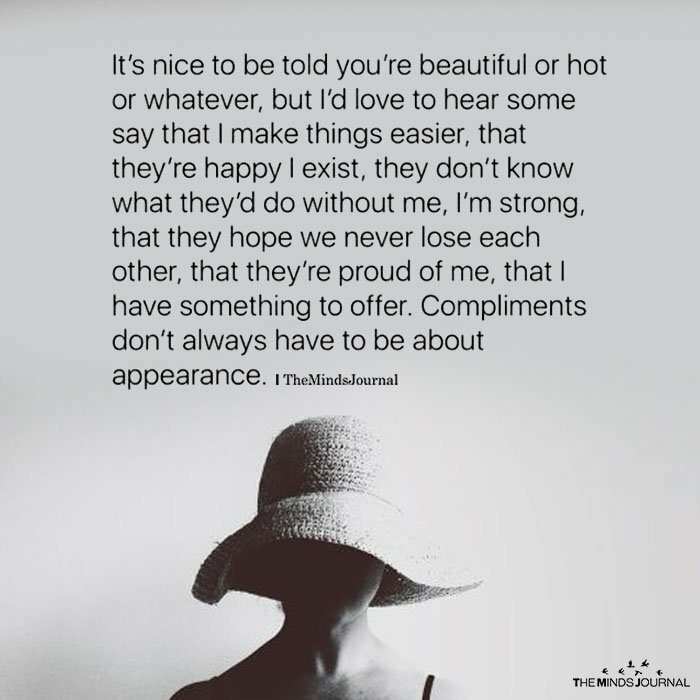 Compliments don’t always have to be about appearance. Why wait for someone else to say them to you? Why don’t YOU say them to yourself? It all starts within. If you wait for people to make you feel better, you’ll get disappointed most of the time.